With Valentine's Day fast approaching, it's time to have something lovey-dovey planned out for your special someone. A quick (or even surprise) romantic getaway is usually the best way to go for some truly memorable quality time. Before you go thinking that this will take a mighty toll on your bank balance, we’ve sorted you out with options that are rather easy on the pocket. We’re suggesting you either apply for leave right now or sneak off during the Valentine's Day week. Romance is always in the misty air at Ooty. This chilly hill station is a great place to cosy up with your better half. Sleep under the stars at Aventura, a campsite where you stay in tents amidst the hills. This one is for the adventurous couple. If you don't want to rough it out, there's also Crest Valley to check out. They have transparent igloo-shaped tents with a 360-degree view of your surroundings and the sky above. Oh and private too. When hunger strikes, hit up any of these restaurants here for a memorable meal. From a casual cafe to a fancy schmancy dinner, you lovebirds can take your pick. 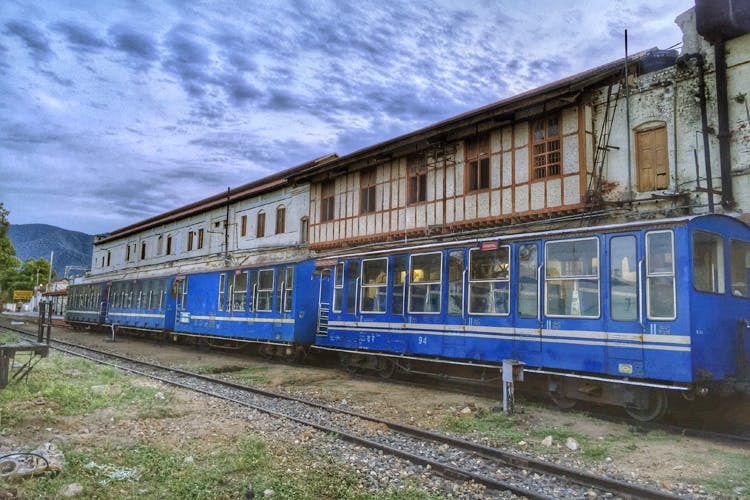 And don’t forget to book your tickets for a train ride from Ooty to Mettupalayam that lets you take in all the picturesque sights while you sit inside a vintage toy train (How romantic). Pondi is one of our favourite getaways. With its quaint French neighbourhoods, the sandy beach and Auroville to explore, this is a great trip to take with that special someone. Check into the centrally-located Aadhaar Guesthouse for an easy INR 800 a night if you are looking for a budget stay in Pondicherry. Even the lovely Casa Vista, an Airbnb in Pondicherry that faces Serenity Beach is a great option too. Be sure to hop onto vintage bicycles and wheel around town by signing up for the Pondy Cycle Tour. If you are still not convinced, here are six more reasons why you should go to Pondicherry this Valentine's Day. From safaris to dinner by the backwaters, Kabini is romance 101. Escape with bae to this charming town and check into the Kabini River Lodge for a true taste of the place. Cosy up in the cottages here and step out to be greeted by lush green as far as the eye can see, and wildlife too. You can also sign up for a couples massage at their Ayurvedic Spa. Now that you’ve got your stay figured out, this list of things to do in Kabini should help with your itinerary. For a trip steeped in art and culture, Fort Kochi is the place to go. With plenty of art galleries, museums and hipster cafes to check out, you and your SO are in for a real treat. And we know just where you should put up in. Niyati Boutique is a fancy hotel that comes at INR 600 a night. There's Zostel Kochi too, with its bungalow setting. From watching fishermen casting Chinese nets over the sea to loading up on delicious Kerala cuisine, check out this handy guide on things to do in Fort Kochi. For the wildlife-loving duo, Masinagudi is where it’s at. With the Mudumalai Wildlife Sanctuary, the Theppakadu Elephant Camp and Moyar River to check out, you’ve got an action-packed time on your hands. Check into Jungle Retreat to keep this wild theme going. You’ll be staying in a villa or treehouse here, with deer, elephants and monkeys for company. Sounds like quite the couples getaway, we think.